Pikitup workers picketed outside the headoffice of their company earlier today. Pikitup workers affiliated to the South African Municipal Workers Union (Samwu) and South African Work Seekers Union (Sawsu) took to the streets of Braamfontein early on Thursday, February 1, to serve various stakeholders of the City of Johannesburg and refuse removal company, Pikitup, a memorandum of demands. Samwu’s regional secretary Sangwani Chisimba told Wits Vuvuzela that the protesting Pikitup workers have, since 2011, been promised that they would be made permanent staff by Pikitup once their independent contracts ended but this process has not happened. Sawsu opened a case against Pikitup at the at the Labour Court in 2013 but decided to drop the matter in March last year after both parties agreed to go to the local Labour Forum (LLF) to resolve their issues. But according to Chisamba, the issues have not been resolved and many of the Pikitup workers whose contracts ended have found themselves unemployed. This morning’s protest began outside of the Pikitup head office in Bertha street, where the company’s managing director, Lungile Dhlamini, received and signed the memorandum of demands. Pikitup communications manager Muzi Mkhwanazi said management will attempt to resolve the issues with Samwu representatives as soon as possible, “A date for a meeting will be stablished sometime next week to discuss the issues. As the MD said, these are legacy issues dating back from 2010 and he was not even appointed then. 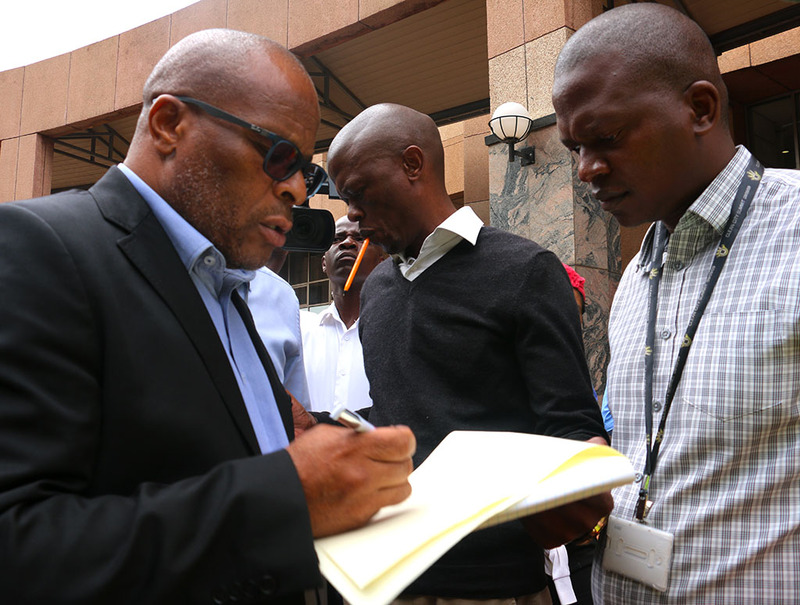 However, he accepts the memo – he is going to study it and has requested to have discussions with the representatives of Sawsu to discuss the matter further and come up with amicable solutions,” said Mkhwanazi. Former Pikitup employee Mathapelo Malefo told Wits Vuvuzela about her challenges since her contract with a Pikitup contractor ended in 2013. “I have been struggling to find a job. Since our contract ended nothing has been done. We are hoping that after this they hire us again. Samwu has been fighting for us and we waiting for Pikitup to respond. I’m a single mother of two children and we depend on their SASSA grant of R370 per child per month, which is not enough to survive because I have to send them to school, still buy groceries and clothes and so on. Izinto zinzima, Indla iyasibulala (it’s so hard, poverty is killing us), sometimes you can’t buy toiletries or pads. We also want to be able to look after ourselves and our children – give them the best education,” said Malefo. 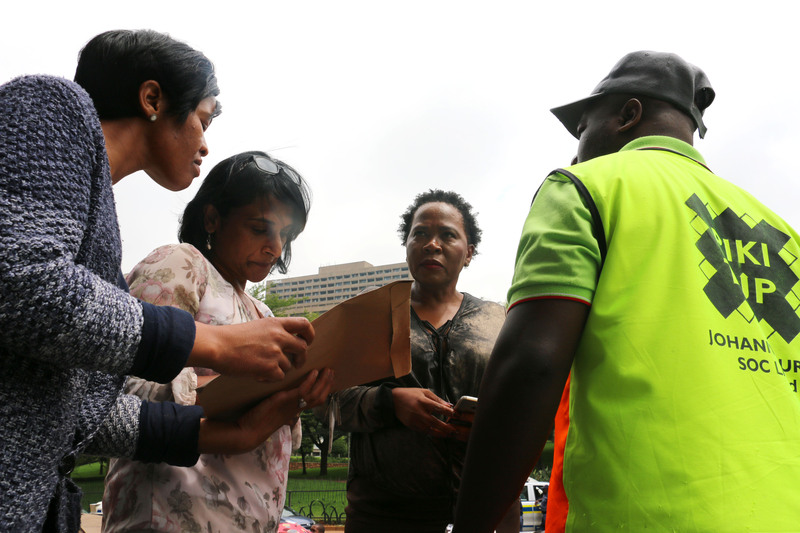 The protest proceeded to the office of the Johannesburg Speaker of Council and the office of the MMC of infrastructure and environment, where the director, VJ Moodley received and signed the memorandum.